Recently I have been drinking Wheatgrass juice. I know this grass has been around for a long time and many people are already using it as a juice, coloring, made into cakes, as an alternative medicine. It is also not a cheap drink because a small cup is S$2.00. Many were said about this grass that it can be used for various medicinal purposes. I am not able to find anything concrete or proof that it is a 'wonder' grass for that matter but again anything grown naturally cannot be too harmful. Consuming such drinks, one needs to be moderate and not overdo it. It smells like freshly cut grass. Not many can take the smell but I like the smell of freshly cut grass. The smells tell you that it is green in color. Wheatgrass is green in color. Beautifully green and it gives a color of Life. We all know that green color in the grass is called chlorophyll. To consume wheatgrass, we have to separate the roots from the stems. A handful of wheatgrass probably can only give you a small portion of juice. This concentrated juice is nutrients and said to contain Vitamin A, C, E, iron, calcium, magnesium and amino acids. "Wheatgrass is used for increasing production of hemoglobin, the chemical in red blood cells that carries oxygen; improving blood sugar disorders, such as diabetes; preventing tooth decay; improving wound healing; and preventing bacterial infections. It is also used for removing deposits of drugs, heavy metals, and cancer-causing agents from the body; and for removing toxins from the liver and blood." " Some people use wheatgrass for preventing gray hair, reducing high blood pressure, improving digestion, and lowering cholesterol by blocking its absorption." 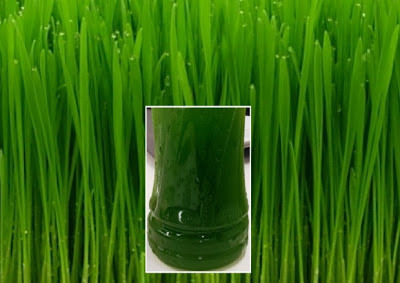 "Wheatgrass is used for cancer and arthritis in alternative treatment programs. " So much to this wonder grass and many more can be found on the net. When I first took it, it helped me to clear my bowels easily. People said it may cause nausea but I am OK with it and I suppose everyone body is different. 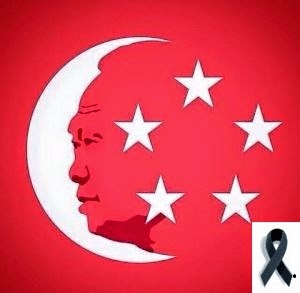 Again I want to remind is to take everything moderately. I take it as a health drink. People who said it works wonder, yes maybe in combinations with other supplement they have been taking and they give credit to wheatgrass. So don't buy every thing said at 'log, stock and barrel'.